Melvin Howard Tormé (September 13, 1925 – June 5, 1999), nicknamed The Velvet Fog, was an American musician, known for his jazz singing. 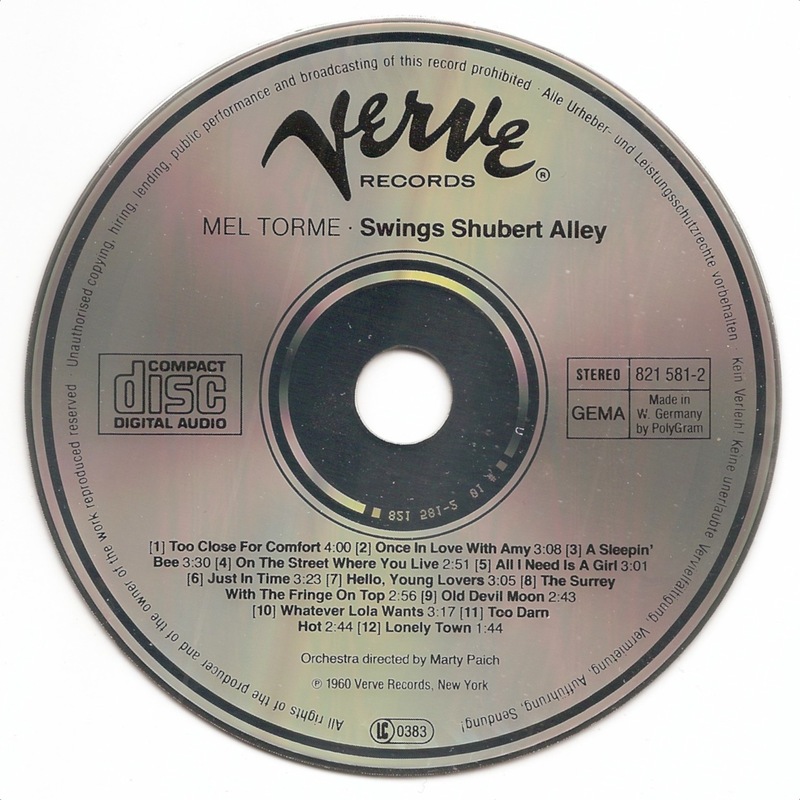 He was also a jazz composer and arranger, a drummer, an actor in radio, film, and television, and the author of five books. 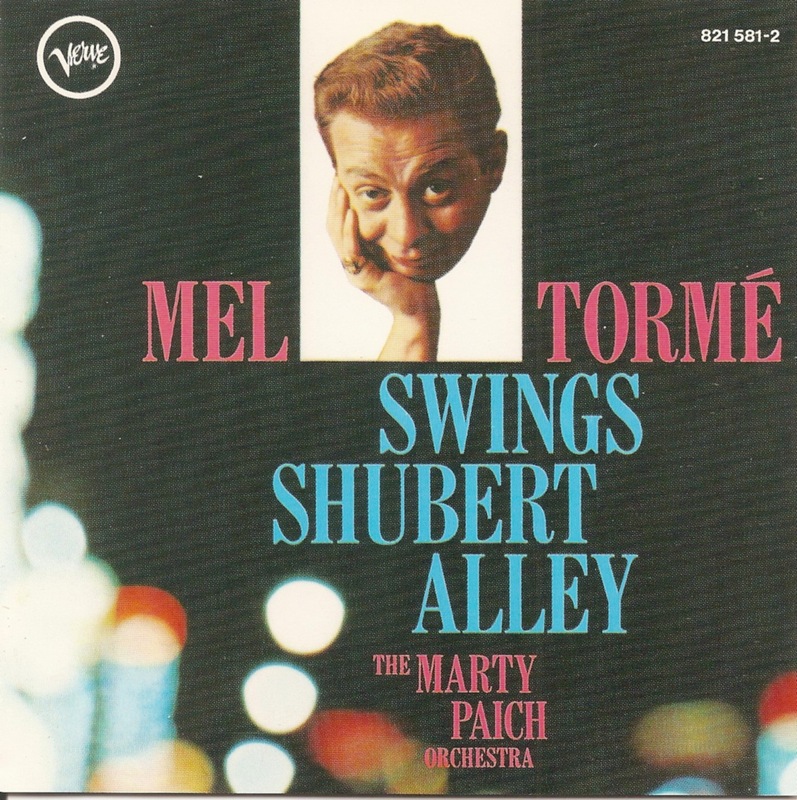 Mel Tormé Swings Shubert Alley is a 1960 album by Mel Tormé, arranged by Marty Paich.